As urban Bengaluru turns its gaze towards international cuisines, one often finds it hard to locate authentic local flavours at restaurants, with the exception of a few small hole-in-the-wall places. With its Tasting Room, and Catering services, Bengaluru Oota Company intends to bridge the gap, and bring to you an experience that is not only unique but also steeped in traditional flavours. It’s never just about the food at Tasting Room, it’s also about conversations, and sharing stories of the food that we put out for you. Bengaluru Oota Company's Tasting Room at Cambridge Layout is an intimate space where you can share a meal that is curated especially for you. Choose between a 3 course and a 5 course menu and relish a meal that is customised according to your palate and preferences. If you are entertaining at home and want to indulge in the delicious flavours of Gowda and Mangalorean food with your friends and family, give us a call. We will curate the meal and have it delivered right to your doorstep. While both Gowda and Mangalorean cuisines are intrinsic to Karnataka, the flavour palettes are quite different. The Gowdas, traditionally farmers, ‘cook what they grow’. Generous touches of garlic and coriander are key, along with jaggery based desserts thanks to their proximity to the sugarcane belt. Mangalorean food has influences of its different communities - Saraswat Brahmins, Bunts and Catholics. 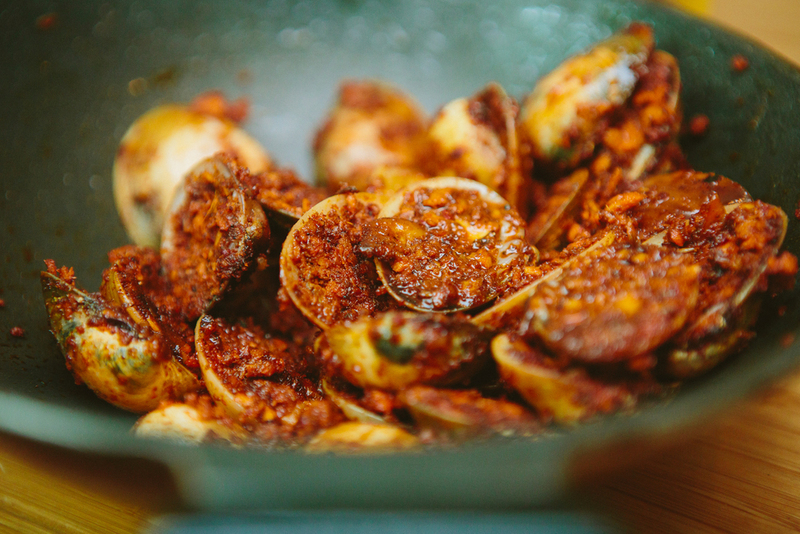 Being a coastal region, it's cuisine is known for its repertoire of seafood. Roasted ground spices and coconut in all its forms - oil, milk or simply grated, are generously used. Kori Gassi, Marwai Ajadina (Clams), Kori Ghee Roast, Mango Mensakai, Gujje Ajadina (Jackfruit), Kane Fry, Manoli Upkari (Ivy Gourd), Crab Curry and Pork Bafat among others.